The Alagoas Antwren is endemic to a very small area of north-east Brazil. It is known only from Atlantic Rain Forest remnants at Murici, Alagoas and Jaqueira, Pernambuco. It is classified as Critically Endangered by Birdlife International who describe it as being "on the brink of extinction". 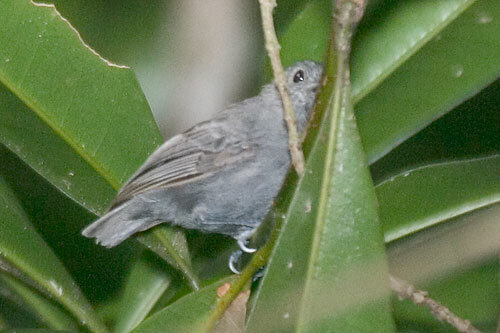 The male, shown here, is generally grey with an indistinct black patch on the throat. The female, which we didn't see unfortunately, is fulvous-brown above with a russet tail, rufous-buff underparts and a white throat. 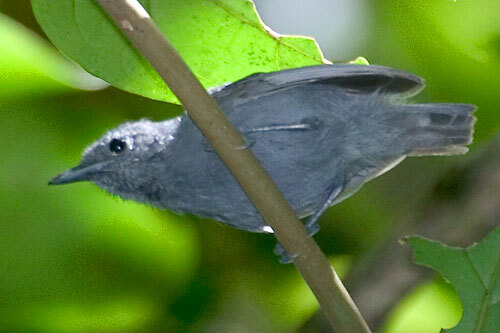 It is very similar to Unicoloured Antwren M. unicolor but has a shorter tail and a longer bill as well as a different voice. 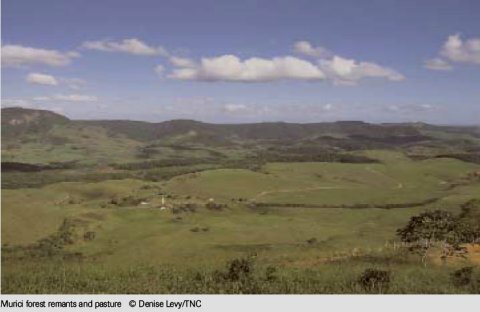 hectare patch of remnant Atlantic Forest in the north-east Brazil state of Alagoas. and nowhere is the damage more severe than in the area surrounding Murici. n accelerated rate for sugar cane and pastureland. 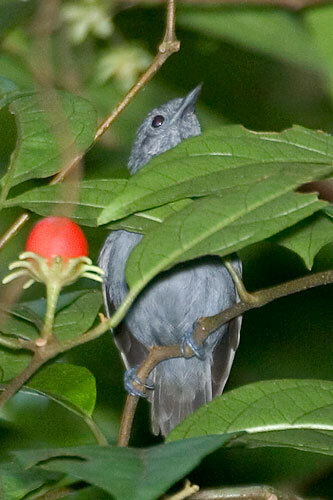 nowhere else on earth, the Alagoas Foliage-Gleaner and the Alagoas Ant-Wren. endangered birds, and an international project to save the forest is underway.